looks wonderful. Have made a dark pumpernickel with double chocolate Stout and prunes but never raisins. This is Lucy'e favorite oaf of bread and she will get it on the Christmas bake list for sure. Amazing what we put through our grinding machines :-) Well Done Franko! The meat grinder worked just great for making the raisin paste. Always nice when you have the right tools on hand when you need them. The paste is pretty versatile stuff and have already used it for adding body to certain types of sauces, and will try it out in a sausage or pate coming up shortly. I'll keep you posted on the results of that effort. Thanks again. Compliments on ones product from a fellow tradesmen are always super to receive, Many thanks! Hi Varda and thank you! The pumpernickel rye meal that I have is a Bob's Redmill product, but hopefully you could make your own meal using your mill. It's one of the main reasons I'm keen to get my own small mill since finding rye meal in my neck of the woods is difficult. Below are a couple of photos to give you an idea of the size of BR rye meal. Hope this helps. I know I haven't been posting as often as I once was, but the breads I make most often I've posted on before and don't see the point in covering old ground. I'm always on the lookout for something new to me or a little different though and try to put it up on the blog if I have time between my work, chores and other interests. Very kind of you to say you've missed the breads and will do my best to contribute more often in the New Year. Great to hear from you Varda and all the very best. Hi Franko,Beauty of a loaf. Beauty of a loaf. Looks very 'healthy' and what I call a perfect winter time bread! I have been baking a lot of these types of loaves lately too spurred on by Karin's whole grain challenge a couple of months ago. Got me on a roll and I have been having a lot of fun experiment tin. In fact, I had planned on adding raisins or cranberries to a loaf and now that I have seen yours I feel more confident in going ahead with my plan. I too use Andy's Borodinsky and Moscow Rye formulas as bases for my procedure but I have never tried such an extended bake as you have done. My sister just told me that the middle of the loaf that I sent her was a bit gummy and I suspected under baked but now, after reading your comments above, I know that is correct. I still am not comfortable with gauging the doneness of these types of loaves on a temp. measurement alone, in the past, I know I have over baked them. I will have to try your guidelines for baking. FIrst I will have to see if my oven even goes down to that low of a temp. Another thing I noted in your process is that your do a bulk ferment prior to shaping. I have not been doing that due the amount of sponge added to the final dough. I have been shaping a proofing immediately….I do have a longer proof time than you have so now I am wondering if I should add a bulk ferment time too….. Thanks for posting and your write up. I will try to remember to let you know of the results I get when I get around to baking my next loaf like this.. I am now into holiday breads until Christmas so I am not quite sure when it will happen though I do find these types of breads easy ones to slip into my usual routine due to the ease of the mixing process. I agree, this is a cold weather bread for sure. It's so nourishing that even very thin slices will satisfy me when I'm hungry. I wish I'd known about this bread back when I was hiking in the alpine regions of our Coastal range years (many) ago. It would have saved a lot of weight in my backpack :^). re: under baking You're not alone in that regard, I've had my fair share as well, usually due to impatience or lack of time. These breads do require a fair amount of time, other than the mixing as you note, but the first 30 minutes of the bake are critical IMO, to get as much rise as possible under the high temps and establish some structure in the weak, wet paste that can then be dehydrated gradually over hours in the oven and then days wrapped in linen. A unique way of baking that can yield remarkable flavours. Time well spent in my estimation. As for bulk ferment prior to shaping, I've always just followed Hamelman's procedure for the Horst Bandel Pumpernickel, but believe that getting the dough straight in to BF for 30-40 minutes helps keep the dough temp at optimum, and allows for better water take-up given the unstructured state of the dough. Looking forward to seeing your next loaves in the New Year Janet and thanks for your compliments and good questions on the loaf. Wow Franko. These look amazing. 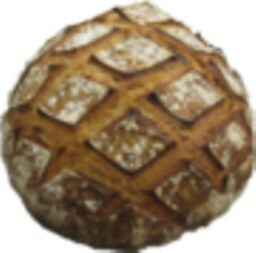 A bread that I would love, but a bread that I am not quite confident enough (or maybe have enough time) to bake. You really have me jealous with this one! Hope you enjoy it with a lot of cheese and wine! Thanks John, all the best. The highest ratio that I have tried is a Danish Rye Rugbrod formula. It turned out great. Love those breads. I don't mean to hijack here so I will keep my comment short. I just baked your rendition of the Swedish Seeded Rye where you had stellar results. If you can do that loaf you can do one of these as well. There really isn't much different. I do know how you feel though. I hesitated baking these breads for a couple of years but Karin's challenge came at a perfect time in my 'baking career' and now I am baking similar breads on almost a weekly basis. What a coincidence Janet...I currently have the sour souring and the soaker soaking for the Swedish Seeded Rye...baking one tomorrow for the first time in almost 6 months. I think with Franko's wonderful post and your encouragement, I may just try this one soon. original reply didn't load, so trying again. I think the increased rye content, and the use of wholegrain/meal/flour makes your formula so much more interesting than the original. Mini may well like to see 100% rye however??! And the falling oven baking is really showcased. When I do this in the wood-fired oven overnight, I use a blast of intense heat from the electric oven first. I am glad you re-inforce the importance of this in order to protect that delicate wet paste in your reply to Janet. I hemmed and hawed about going 100% rye, eventually deciding to get some small portion of wheat in there for insurance. My success rate with 100% rye is still a bit spotty for my liking, and with a few exceptions I'm usually not taken with most of the all rye breads I've had anyhow, mine or others. I agree with Mini, and believe you do as well, that a traditional Pumpernickel is 100% rye, which is why I call this a dark rye loaf, or pumpernickel style bread. One day I may try it as 100% but wonder what significant difference the wee bit of extra rye would make to the the flavour. All the best my friend, take care. i'm most impressed with your post and also the bread it certainly seems like a marathon but what a great result at the finishing line. We can get Uncle Bob's here in AUS in a few stores, and Rye meal is fairly readily available generally. I must say its not something i've contemplated making but i do know we have a lot of people that do like this type of bread, and as you say it is a good challenge and keeps the grey matter active.Unfortunately we are moving to Hotter weather so it may well have to wait a little while. I would like to try an english style Malt loaf as my mother in law is from the North of England and a fan of this bread. I think that this style of bread will also be a long and cooler oven bake. Very pleased to hear you liked the post and the loaf and thank you for letting me know! The organic shop where I buy most of my flours and grains were really good about tracking the Bob's Redmill product down for me. The stores buyer initially couldn't find it through her regular supplier but she kept at it and eventually found it a few weeks later and called me at home to let me know. Now who says that good customer service is a thing of the past? I must remember to take her a loaf of some kind as a thank you. I'm not familiar with the English Malt Loaf you mention but I'll have to check Elizabeth David's "English Bread" to see if it's in there. Hope that you make it sometime Derek and post it on your blog as I'd love to see your take on it. Cheers Derek and many thanks for your generous comments. This particular brand is a mass-produced malt loaf still available in the UK. I think it's fairly typical of what Derek is describing, although it is very mainstream. I found this interpretation of the Soreen Malt Loaf submitted by TFL member Kiint back in April 2011. 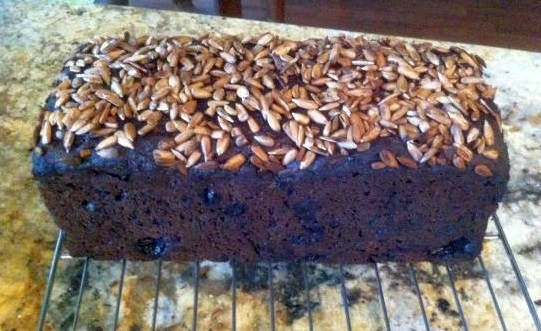 Not something that I'd likely make, but now at least I have a good idea what a Malt Loaf is supposed to be like. Oh, you've beat me to it, Franko. I, too, wanted to try this recipe ever since Breadsong posted a link to it. I have no coarse rye meal, but once i do i will give you perfect recipe a try. It must be , without doubt, a gorgeous rye. However, i didn't get the steam part. Do you leave the loaf to bake overnight with lid on? If so, why do you use hot water in a roasting pan? Anyways, this is an excellent loaf, Franko! I love it. Hope you find the course rye meal because this is a bread I'm sure you'd like. One, for all the whole grains contained in the formula, and two, for the amazing flavour it has. Regarding the steam part. 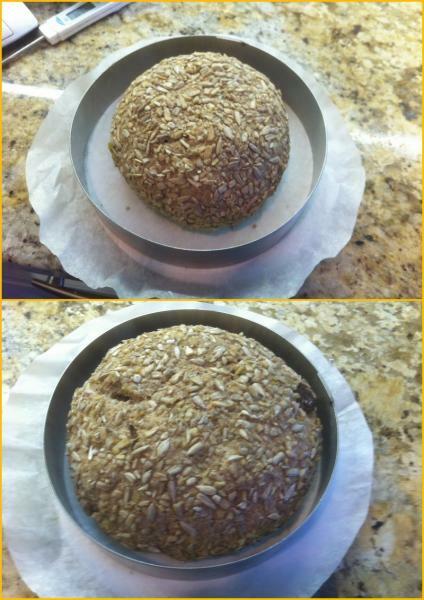 The first time I made the Horst Bandel Pumpernickel from "Bread" I baked the loaf (lid on) straight on top of the stone on low heat for 8-9 hours. Well the bottom crust was so tough I could barely saw through it. Next time I baked it I decided to try the steam method hoping a buffer of gentle, moist and even heat surrounding the tin would give the bread a more even bake over the long haul. It worked well, and no more tough crust, bottom, top or sides since. Glad you like the loaf my friend and thanks so much for your comments. Sorry I haven't commented on your own recent and excellent post yet. It was posted right at the time I was getting this one ready but will correct that very soon. I was happy to share the information I was able to pick up at IBIE – so glad you were able to find inspiration in Mr. Ponsford’s formula. I recently made my first Horst Bandel (loved the complex flavor), and remember really enjoying the flavor of a high% raisin-rye I made a couple of years ago...to see it all be skillfully brought together in this loaf of yours...needless to say I am bookmarking your post so I can give this a try! Thank you for providing the details regarding the baking and steaming, and for sharing a way to make raisin paste. I like how you altered the relative percentages of raisin paste and whole raisins, so more raisin paste is in the mix – perhaps releasing more sugar, and helping to create the wonderfully dark color of this loaf! All in all a fabulous bread and thanks for sharing your creation! Thanks so much breadsong, not only for your very generous comments but for sending the info pamphlets as well. I've really been enjoying playing around with this raisin paste in various baked items in addition to using it in some cooking. I'd like to try it in a BBQ sauce or a stuffed rolled pork shoulder sometime in the New Year. It's a great addition to the pantry and adds a lovely flavour dimension to everything I've tried it in so far. 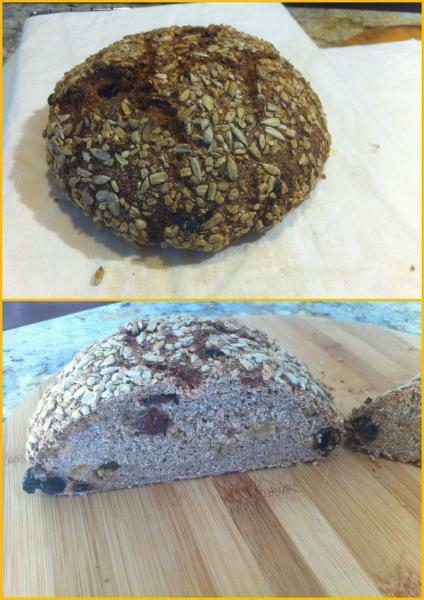 When you do get around to trying this bread just a small heads up on the raisin paste before you use it in your mix. It gets quite hard after a day or so, even wrapped in plastic and at room temp, so use some of the water (hot) from your final mix and let the paste soak in that for 20 minutes then mash it up so there aren't any large lumps of paste left. You might even be able to microwave it on low to soften it, not sure, haven't tried it. What is the purpose of the sponge? Sorry for the late reply but just returned from vacation late on Thursday evening. Below a few thoughts on sponge and a reply to your other question on rye paste from "Baking with Andy/Ananda"
Since I began using a sponge quite often when making rye breads, paricularly high ratio rye, I've noticed that the final leaven is much more lively than one made from a typical single stage sour leaven,resulting in an improved bulk and final fermentation. The initial rise when it hits the oven has been higher, the crumb of the final product has been more open and uniform, and the flavour characteristics more complex than I've achieved previously using a one stage leaven. Having a large portion of the flour/grains prefermented and hydrated well in advance of final mixing has made a significant improvement to almost all of the rye breads I've made over the last year. To try and answer your question from Baking with Ananada/Andy] regarding what I learned about rye paste consistency and handling, I realized I'd been mixing the paste too wet, often, but not always causing the loaf to slump in the middle during or after what should have been sufficient time and temp in the oven. With the consistency of the paste I had been making I was just able to mold it on the counter before placing it in the loaf tin. To make things easier, more often than not I would deposit the paste straight into the tin and use a plastic scraper to form it into the corners and sides of the tin. What I discovered with the paste that Andy had made was that although it was just slightly less hydrated than what I'd been making, it wasn't so sloppy that it couldn't be formed into a (wet) log before going in the tin. Well hydrated, but with sufficient structure to it to form and hold a uniform shape during baking. It's a bit of a fine line to gauge given the absorption rates of various flours and harder still to describe the feel of the paste but a slight decrease of 3-4% in hydration made all the difference and I'd put it at a ballpark percentage of 80-82% +/- hydration. What it came down to in the end was that I'd stubbornly been trying to push the hydration level past it's optimum and having the opportunity for some hands on experience with an expert rye baker like Andy I was able to get a much better idea of where I needed to be with my own rye mixes for the kind of results that I wanted.